Feb. 24, 2014, 9:18 a.m.
What's going to happen when 650b sales go flat and people aren't buying new bikes? Someone is going to have come up with another wheel size or go back to the "playful and fun" 26". Feb. 24, 2014, 9:41 a.m.
i'd say that when you finally see 27.5" bikes or 29'ers dominating the aisles of places like costco, walmart, london drugs, canadian tire, etc that then you can say the 26" wheeled bike is dead. Feb. 24, 2014, 9:46 a.m.
for sure. though they'd have to be rebranded of course. something like 625A perhaps. given the trend towards super buffed trails (not complaining), the benefits of bigger hoops will become less significant, and people will start looking for lighter, faster accelerating wheel solutions. et voila, 26'ers are all the rage again. I like to think i'm avant garde with my small wheels. Feb. 24, 2014, 9:52 a.m. I think you mean jumpier trails. On buff smooth trails bigger wheels will be an advantage. Feb. 24, 2014, 10:37 a.m.
On buff smooth trails bigger wheels will be an advantage. on our typical tight buff trails where you're sprinting between corners? perhaps i'm missing something. ugh; wheel size talk is boring anyways. lets talk about snow! some sweet sliding to be had right now! Feb. 24, 2014, 11:09 a.m.
Nope … it will be the 26.75". It has all the benefits of a 27.5" and none of the drawbacks of a 26". 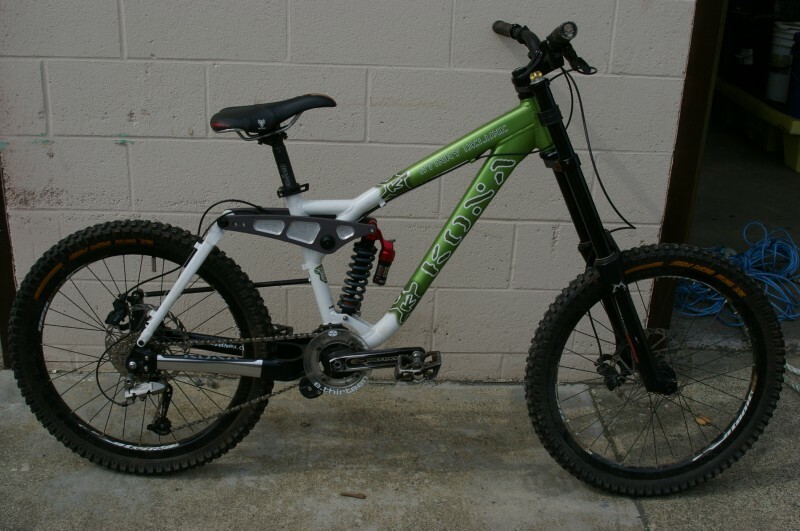 You'd be crazy to ever dust off your old 26" bike and ride it when the 26.75 comes out. Feb. 24, 2014, 11:11 a.m.
Feb. 24, 2014, 11:15 a.m. I really have no way of knowing. On an XL bike you do the best you can in tight corners regardless of wheel size. Though I find my 29er actually corners way better than any 26" bike I've owned though this could be about body position on the bike relative to BB drop, or some other thing. That being said, yes, snow. Feb. 24, 2014, 12:17 p.m.
You're both right. You don't get the roll-over advantage of the 29er on the buff trails but you get better cornering traction so there is less sprinting to get back up to speed. I'm going for a snow ride - right now! Feb. 24, 2014, 4:48 p.m. Someone is going to have come up with another wheel size or go back to the "playful and fun" 26". We haven't done 24" wheels in more than a decade. Feb. 24, 2014, 8:33 p.m.
Feb. 24, 2014, 8:37 p.m.
Or the outlier groups are quietly thankful there are finally some additional options that suit them better than the one-size-fits-most they've been living with their whole lives. I don't totally understand the industry motive for 650b but there is a place for 29ers. They offer a totally viable and justifiable alternative for some types of riding that is distinctly different than 26". 650b does strike awfully close to 26" and so I can see that it feels a bit forced. Feb. 24, 2014, 9:23 p.m.